Pellegrini’s Focus: Top Ten or Next Season? For the most part, it’s been another up and down season for West Ham and just as the club promises to exceed expectations, they stumble. The Hammers have had multiple opportunities to climb into the top seven and once again failed to do so. Despite results going their way, the East Londoners’ loss to Everton on the weekend saw them drop out of the top ten with barely a whimper. The Irons now sit two points off seventh and face a somewhat tricky trip to Chelsea on Monday followed by an even tougher test against a seemingly resurgent Manchester United. In fact, West Ham face three of the “big six” as the season winds down and come up against two clubs that are still seeking a top seven finish. Arguably, it’s one of the toughest end of season run ins for those in contention for European football. With a less than impressive record against the clubs around them, many fans have given up hope on a seventh-place finish, but is the club ready to accept mid-table again and start looking to experiment for next season? 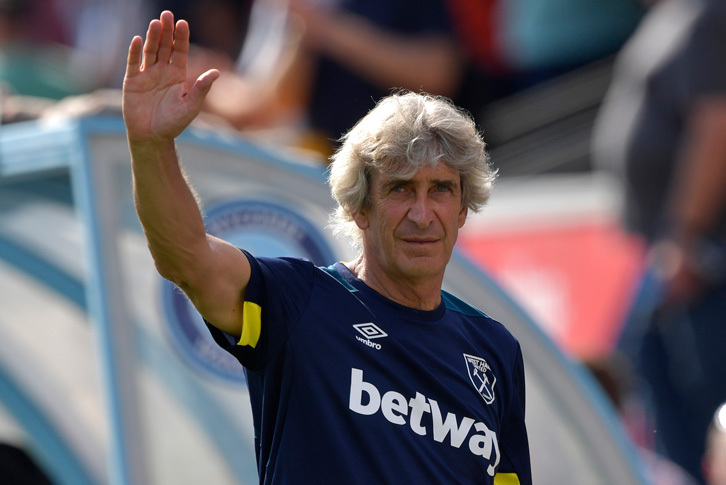 Now, it could be a good time to take stock and clear some of the negativity within the squad, but pursuing short-term results would still show that Pellegrini is taking the club in the right direction and would also allow him to build on what has already been a positive start in charge. There’s no question that West Ham have a number of players who are ready for the transfer window and are chomping at the bit to get an exit come the end of the season. Players like Arnautovic, Obiang, Perez, Masuaku, and Sanchez (remember him?) are already half way out the door and with Carroll’s contract not being renewed there are going to be big changes in the summer. However, that doesn’t mean that the focus should shift from finishing the season on a high and collecting as many points as possible in the last six games. It is fair to say that there are a few things to consider when it comes to the team selection and result against Everton. With injuries, international duty, tactics and personal reasons coming in to play, there was a balancing act for Pellegrini to handle. Samir Nasri and Felipe Anderson were huge losses in the game, but starting Perez, Obiang and Arnautovic, who all seem ready to leave the club was considered a slap in the face to most fans, and ultimately proved to be a big mistake on the manager’s part. With players like Antonio and Chicharito in form but sitting on the bench, it was a confusing selection from the Chilean and one that didn’t work in his favour. By now, Pellegrini should know the fans see effort as a minimum requirement when representing the club and it simply wasn’t there against Everton; something that was echoed by Declan Rice in his post-match interviews. With no more than a top ten finish to play for as the season comes to a close, it’s easy to look towards next year and experimenting with team selections, but at the end of the day, Pellegrini has a certain style of play and tactics that he wants to implement. Experimenting and dropping certain players because they are looking to leave could be more detrimental than just using them if they are the best available option to play in the way he wants the team to play. There is no doubt that the attitude of Arnautovic has become infectious, and the performances of Obiang and Perez throughout the season have been lacking, but this squad, for the most part, is one he inherited. We have a manager who is at the beginning of a project and will continue to build and bring in the best players to suit his game. It’s fair to say that most fans wouldn’t be overly disappointed to see certain players omitted from the squad and being replaced for some fresh faces who are keen to bring some heart and desire into the team, but that isn’t necessarily a win for the club in the short-term or the long. The manager is finishing out his first season, improving on what the club has seen in recent years and that should be promising even in the situation he finds himself in currently.